Why is Canada home to some of the most admired pension plans in the world – and what lessons can others learn from what we’re getting right? Such questions formed the basis of a 2017 World Bank report highlighting lessons and best practices from our country’s best-run and most sustainable plans – including HOOPP. Called The Evolution of the Canadian Pension Model: Practical Lessons for Building World-Class Pension Organizations, the report explores why HOOPP is a pension leader in Canada and what insights we can share with the broader pension community, based on what we’ve been doing well for years. As part of the study, the World Bank listed seven key challenges facing Canadian pension funds over the next five to 10 years. Having identified these hurdles early, HOOPP has worked to create solutions to address them and keep our fund healthy for the long-term. Throughout 2018, we will explore more about what the future holds for pension funds, and provide examples of the solutions we have already employed to address them. Based on in-depth interviews with some of Canada’s top pension leaders and case studies of four funds, the detailed World Bank report covers the essential components of pension plan organizations – governance, people and organization, investments, administration, plan design and funding, and regulation and public policy – and presents a four-phase framework for the evolution of pension organizations. 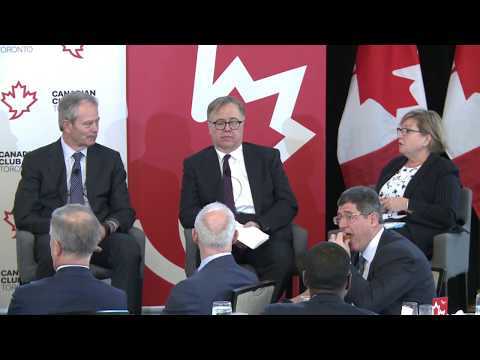 HOOPP President & CEO Jim Keohane highlights HOOPP’s best practices at Canadian Club event. Read the full World Bank report on the Canadian Pension Model. Around the world, defined benefit (DB) pension plans are struggling with low interest rates and lower-than-expected returns from stock markets. While low interest rates are helpful if you’re borrowing money, DB plans use them to calculate the costs of paying members’ pensions now and far into the future. The lower the interest rate, the higher the cost of providing the plan. At the same time, pension funds rely on investments to earn sufficient returns to pay out pensions to members. However, in the future, stock market returns are expected to be lower than they’ve been historically. A liability hedge portfolio designed to ensure the HOOPP Plan has the cash flow to cover what we owe in pension benefits to members. A return-seeking portfolio that earns the returns needed for long-term growth and to keep contribution rates stable and affordable for members and employers. Today, HOOPP remains fully funded. This means the Plan has more than enough assets to cover what we owe in pension benefits to members who are retired today and who will retire in the future. HOOPP President & CEO Jim Keohane explains how the Plan’s LDI approach helps ensure the long-term stability of the Plan. The nature of work is changing, as part-time and casual work becomes more common. Many people, especially those in the early stages of their careers, don’t have access to traditional workplace benefits, such as pensions. This shift is also happening across the healthcare sector. As a result, many Canadians do not start saving for retirement until later in their careers and are unable to adequately save for retirement. To help more people save for retirement, we have found ways to provide greater access to HOOPP. 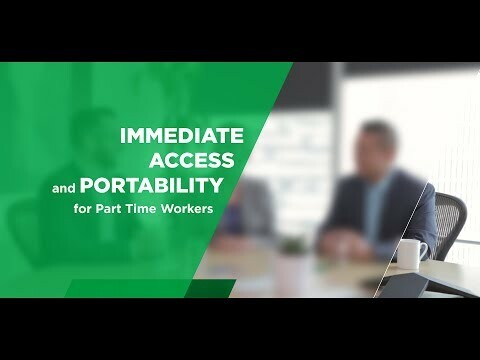 In 2015, we removed our eligibility requirements for part-time and casual workers to ensure that all employees of a HOOPP employer have the opportunity to join the Plan on their day of hire. With more than 500 employers across Ontario, HOOPP pensions are also portable. This means members can keep building their pension as they change jobs at HOOPP employers throughout their career. Those who have multiple jobs can contribute at each of their HOOPP employers to help build a bigger pension for retirement. HOOPP staff discuss the impact of the changing workforce on pension access across the province, and explore ways that HOOPP has sought to improve retirement security for health care workers. Although part-time employees have had access to HOOPP since 1988, the plan continued to evolve, including notable developments in 1992 and 2015. People around the world are living longer than ever before. In Canada, the latest census shows that 13% of the population is now age 65 or older and, for the first time, seniors outnumber those who are under age 15. An aging population means that an increasing number of people are leaving the workforce. Additionally, we expect there to be a growing strain on public finances and services as historic numbers of seniors draw on public benefits and healthcare resources. To keep our Plan sustainable, HOOPP strives to attract new members who are in the early or middle stages of their careers. At HOOPP employers, full-time employees are required to join the Plan when they are hired, and part-time employees have the option to join. This ensures that there are always new members, and new contributions, coming into the Plan. In managing the Plan, we carefully balance pension benefits, contribution rates, and future expected returns on investment assets. Balancing these components ensures that our Plan is sustainable and affordable for members and employers over the long term. As a result, our Plan is fully funded. Members can rest assured that once they begin receiving their pension they will receive it for life. HOOPP research shows that pension plans also help reduce senior poverty and an individual’s reliance on government assistance. While nearly 50% of seniors who don’t have a defined benefit (DB) pension rely on the government for financial support, only about 10% to 15% of seniors who receive a DB pension receive government assistance. In Canada, pension plans are closely regulated by both the provincial and federal governments. Regulators ensure that Ontario pension plans are effectively administered and governed, contributing to the growth and long-term success of the plans. In addition, regulators must be nimble and proactive to keep pace with increasing sophistication and innovation across the pension sector. Pension plans, in turn, must evolve and adapt to new regulation and oversight as they look to expand access to retirement security and continue to innovate. HOOPP routinely engages with regulators to educate them on existing challenges across the pension landscape, as well as to provide comment on potential regulatory changes. We also act as a voice for Plan members, helping policymakers understand the role pensions play in the lives of Canadians and in the economic fabric of Canada. In fact, a key pillar of HOOPP’s advocacy mandate is to engage with government decision-makers, help them understand the needs of our members, and ensure they have fact-based research on retirement security and pensions. HOOPP regularly produces research that highlights emerging issues of interest to policymakers, from the rise of senior poverty to the economic impact that defined benefit (DB) pensions have on communities in Ontario. > Senior Poverty: The Next Crisis? Pension plans in Canada are growing in size. 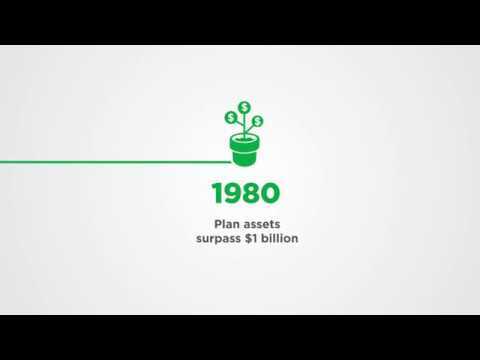 The eight largest public plans now manage a total of more than $1 trillion in assets, according to the Bank of Canada. There are many benefits to increased scale, such as the ability to access new investment strategies and asset classes and to attract top talent. However, there are also challenges. Pension plans must make sure they have proper governance and oversight in place to ensure they continue to remain efficient and manage risk. HOOPP is a jointly sponsored pension plan, governed by an independent board. Our trustees are responsible for overseeing all aspects of the Plan and the HOOPP Trust Fund, and they have a fiduciary duty to act in the best interests of our members. HOOPP uses a liability driven investment (LDI) approach to ensure that pensions for every member are backed by assets in the HOOPP Fund. Our investment strategy ensures that we earn enough return to pay pensions while mitigating risk that could result in big losses to the Fund. We manage investments in-house to help control costs and risk. Our operating costs, which include managing investments and providing services to our members, are among the lowest of our peer plans. As a result of year-over-year growth, HOOPP remains fully funded. We have more than enough assets to pay pensions to our members now and in the future. In fact, in 2018 the strength of the Plan’s funded status allowed HOOPP to improve benefits for its members. By ensuring we grow responsibly, we can be confident in our ability to deliver on our pension promise for the long term. Like other Canadian pension plans, HOOPP has grown exponentially. Here are some of the key moments in HOOPP’s evolution, and the steps we’ve taken along the way to ensure responsible growth. Canadians expect accountability and value for their money from major institutions, including public pension plans. At the same time, in today’s low-return environment, pension plans must carefully manage the costs associated with investing and paying retirement income to members. They must respond to these pressures in a way that ensures they remain efficient and their benefits remain sustainable in the long term. HOOPP’s operating costs, which include managing investments and providing services to members, were just 0.3% of net assets in 2017. Our cost per member is almost half of many of our peer plans. In addition, contribution rates for HOOPP members are among the lowest of Canada’s largest public sector plans – in fact, they’ve remained unchanged since 2004. By keeping the cost of the Plan stable, we can ensure it stays affordable and predictable for members and employers. Maximizing efficiency to keep costs low means that more investment income goes toward paying pensions. The benefits of this are far-reaching. Research shows that people with a stable pension income rely less on government support such as the Guaranteed Income Supplement (GIS). Only about 10% to 15% of seniors who receive a pension from a defined benefit (DB) plan collect the GIS. That compares to 50% of seniors without a DB pension who collect it. Overall, DB pensions reduce the annual GIS payout by approximately $2 billion to $3 billion annually. In addition to the regular ups and down of the markets, investors must always be prepared for the next major downturn or financial crisis. Pension plan managers are no different. During the global financial crisis in 2008, 40 major pension plans in Canada collectively saw their assets lose just over 10% of their value, according to industry research. It took many investors years to come back from these declines. HOOPP’s losses in the 2008 financial crisis were minimal. That’s largely because HOOPP began shifting to a liability driven investing (LDI) approach in the early to mid-2000s. 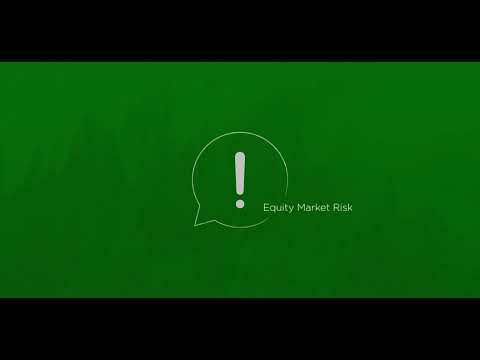 LDI is designed to minimize the three most significant risks to the Plan – equity market risk, decline in long-term interest rates and risk of inflation – to make sure they don’t affect our ability to pay pensions. HOOPP manages all its investments in-house to help control costs and mitigate risk. Our operating costs, which includes managing investments and providing services to our members, are among the lowest of our peer plans. In addition, our robust stress-testing tools are custom designed to measure the impact of potential changes in the economy on both Fund assets and Plan liabilities. This helps us to better manage the risks related to investment assets and strategies. We have a very long-term investment horizon, looking more than 70 years into the future when investing contributions to make sure we continue to deliver on our pension promise for our members. Overall, we carefully balance risk, return, and administrative costs over the long term. This helps ensure that the Plan has enough assets to pay pensions for every member, now and in the future, under any market circumstances. Balancing these factors also keeps the Plan sustainable and affordable for both members and employers.